Be yourself. Be with the ones that matter the most. Begin the journey! Communing with nature and living the good life are no longer mutually exclusive. 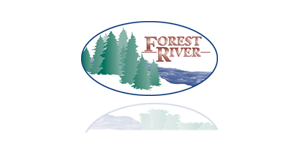 RVs by Forest River, Inc. offer a unique choice of a sanctuary. With all the necessities you need at hand, you are at home wherever you go. Combining superior construction, quality components and rich comfortable furnishings, Forest River Marine, takes great pride in building products that continually exceed our customer’s expectations. For a truly enjoyable vacation retreat from holiday living to destination camping, Forest River Park Models are designed with a host of special features to enhance comfort, convenience and enjoyment.